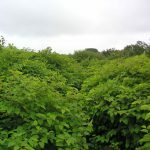 Japanese knotweed identification is not always easy, but if a potential infestation is ignored, there could be destructive and costly legal consequences. 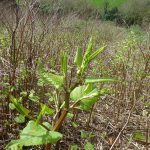 The following video provides some simple advice on what to look out for. 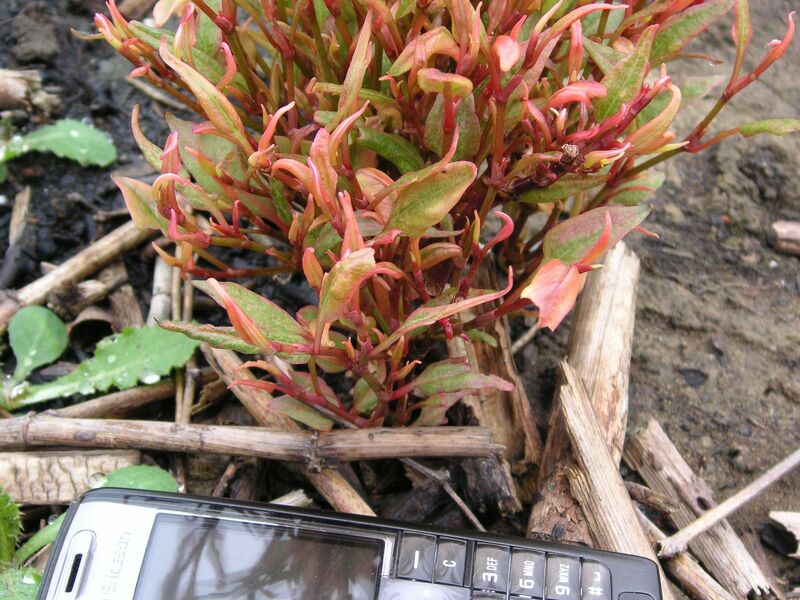 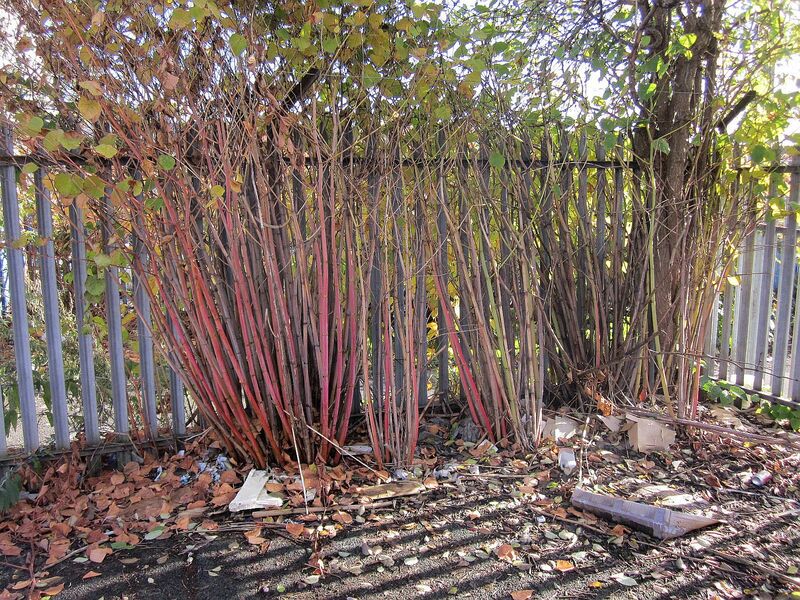 We also provide a free knotweed identification service to review photographs of your suspected knotweed plants. 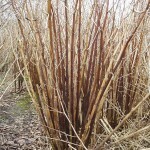 You can access it here or by clicking on the banner at the bottom of this page. 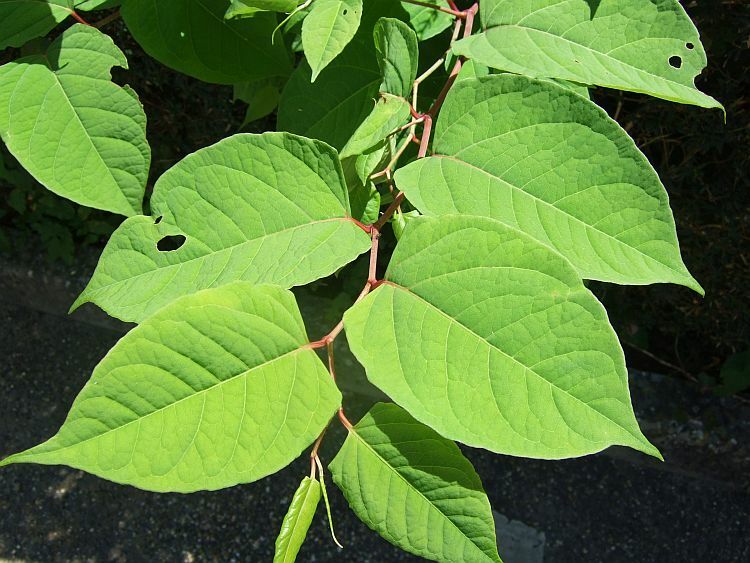 However, before you send us any photos, we would advise you to read through our guide on Plants That Look Like Japanese Knotweed. 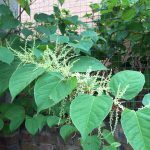 From our experience of receiving thousands of photos emailed to us, it is quite likely that you don’t have knotweed at all and instead have one of the plants listed on our above-linked page of ‘usual suspects’. 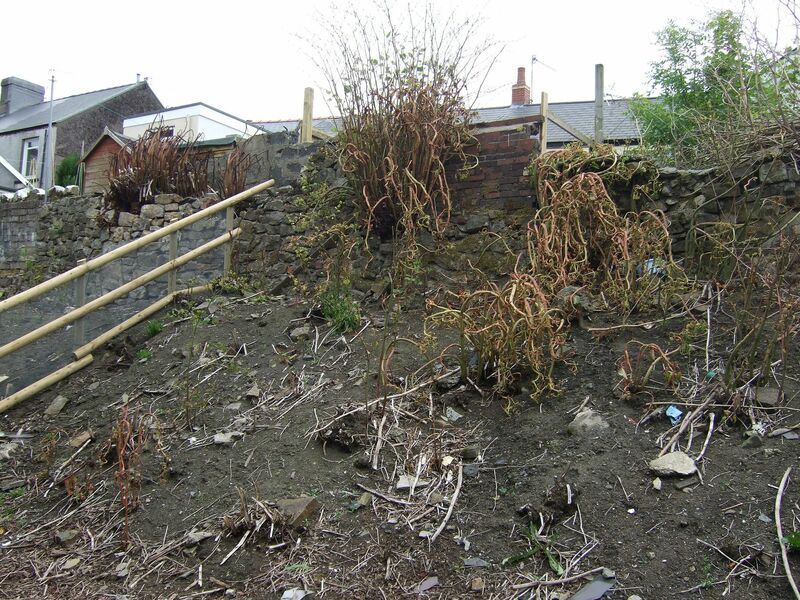 If you really do think you might have Japanese knotweed, then please contact us today to speak to one of our expert consultants to see how we can help. 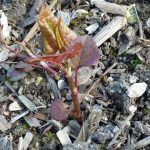 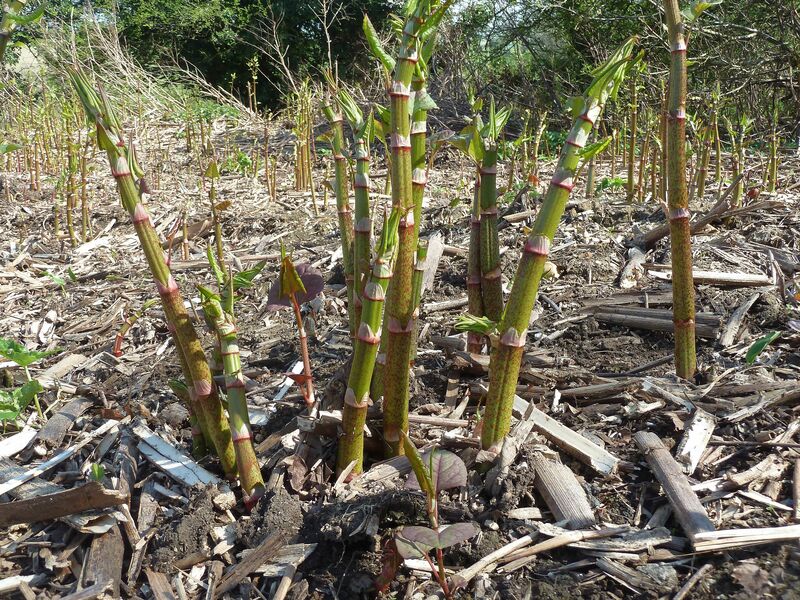 When is the Best Time to Spot Japanese Knotweed? 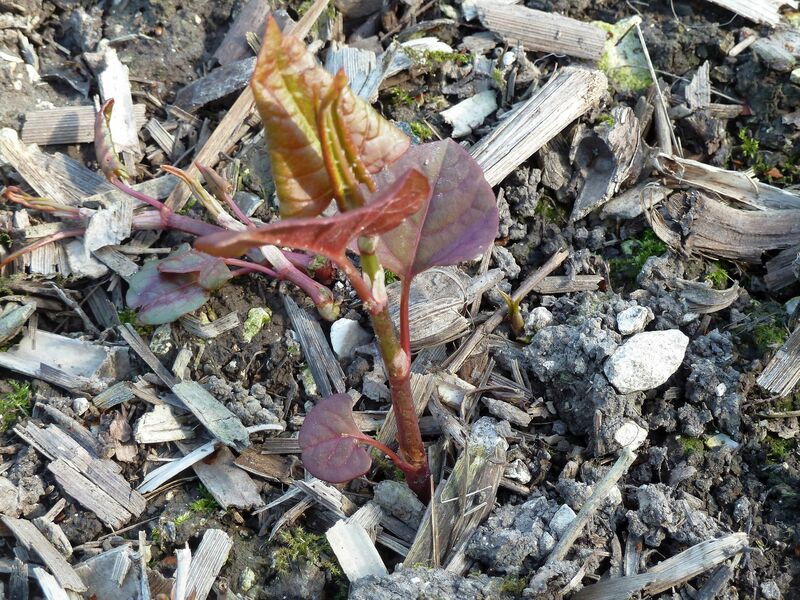 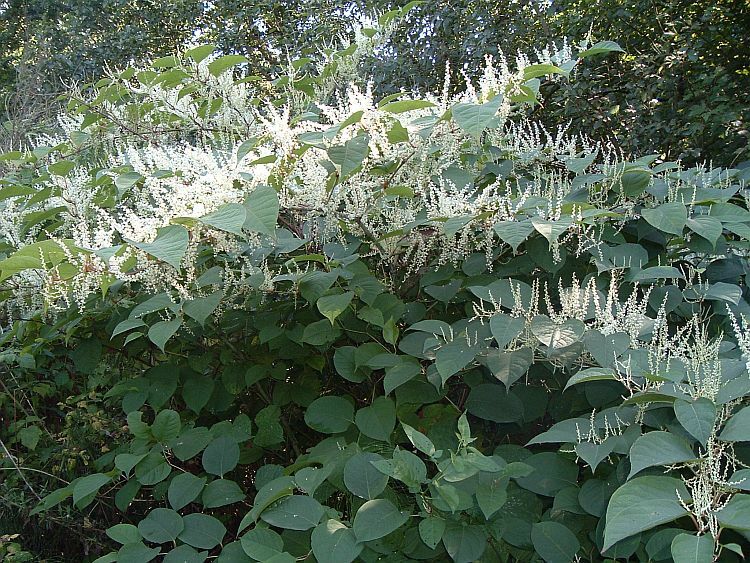 The best time to spot Japanese knotweed is during mid-summer and early autumn. 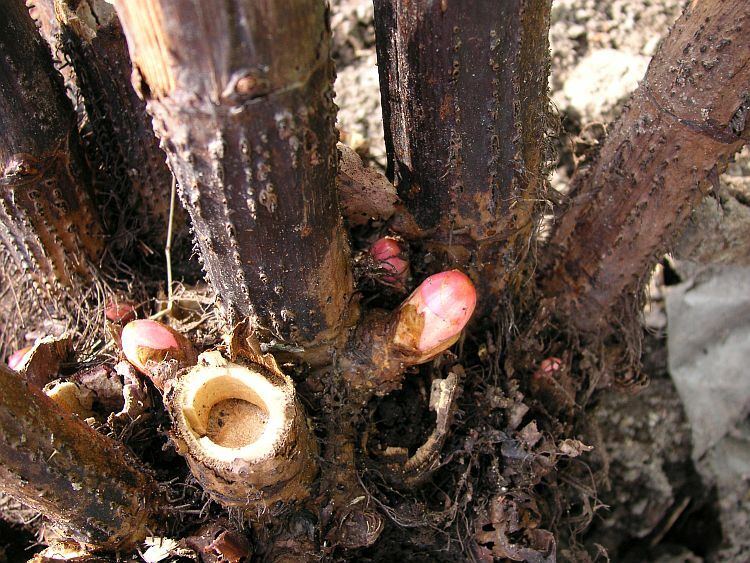 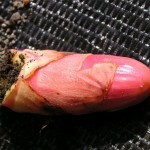 During spring, reddish/purple shoots appear from the ground and fat, asparagus-like ‘spears’ rapidly lengthen from bright pink ‘crown’ buds. 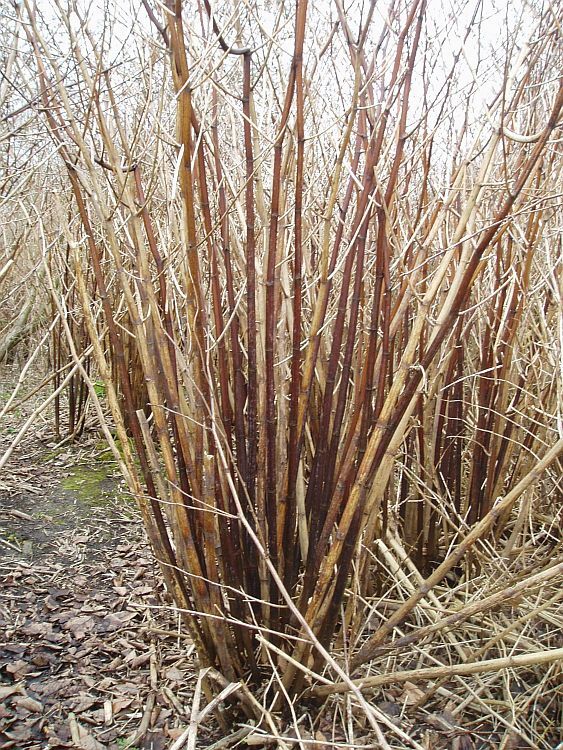 These can grow up to 2cms a day, thus rapidly forming dense stands of bamboo-like stems that develop green heart- or shield-shaped leaves. 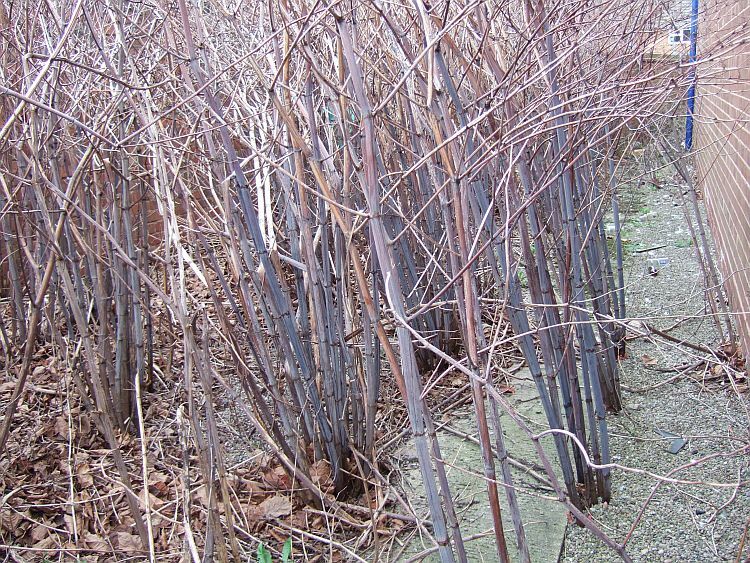 By early summer the mature Japanese knotweed stems are hollow with purple speckles and can reach up to 3 metres in height. 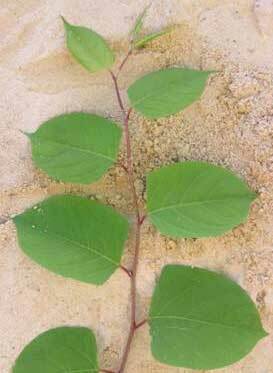 The leaves alternate along each side of the stem, producing an obvious knotweed zigzag pattern. 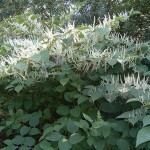 The knotweed flowers that emerge by late summer are creamy-white in colour, and appear in lengthy cluster/spike formations. 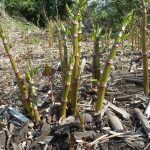 Japanese knotweed spreads mainly from its underground rhizomes/roots which lie dormant, but alive, over the winter months. 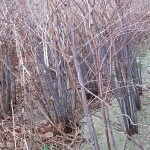 The rhizomes can spread several metres outwards from the visible, aboveground stems, and to depths of more than a metre. 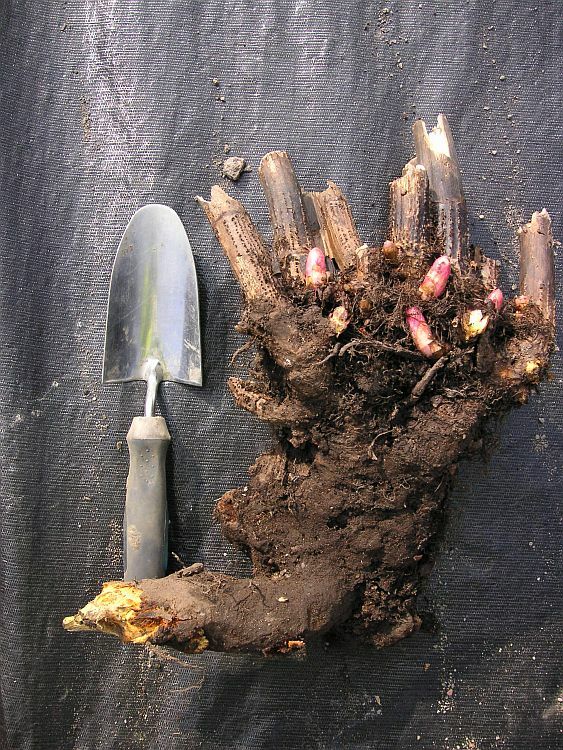 It is therefore very easy to accidentally fragment pieces of rhizome and spread them by disturbing the soil several metres from where the stems appear. 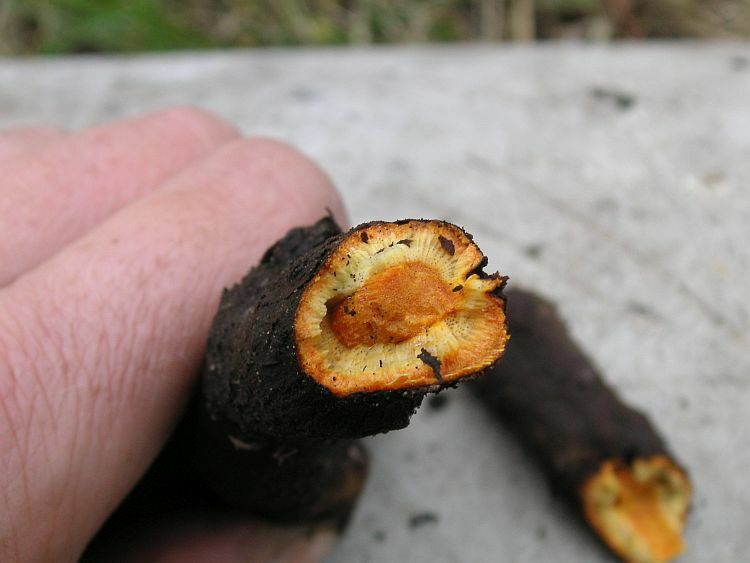 As new growth from seeds is very rare, it is testament to the plant’s incredible invasiveness that it has spread to most parts of the UK (and many parts of western Europe and North America, for that matter) simply through the fragmentation and translocation of rhizomes in contaminated soil. 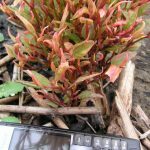 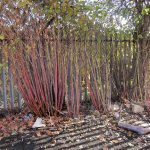 Below are some images and descriptions of the main features of Japanese knotweed that should help you identify it. You can click on each thumbnail image to make it bigger. 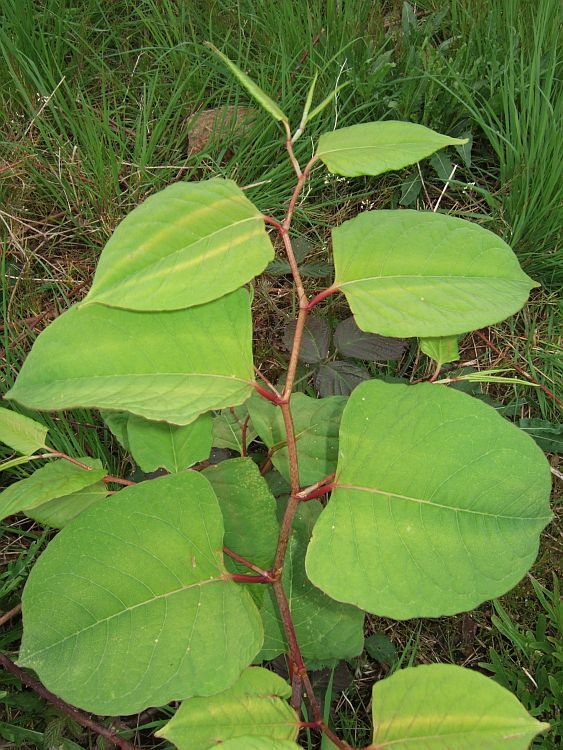 What do Japanese Knotweed Leaves Look Like? 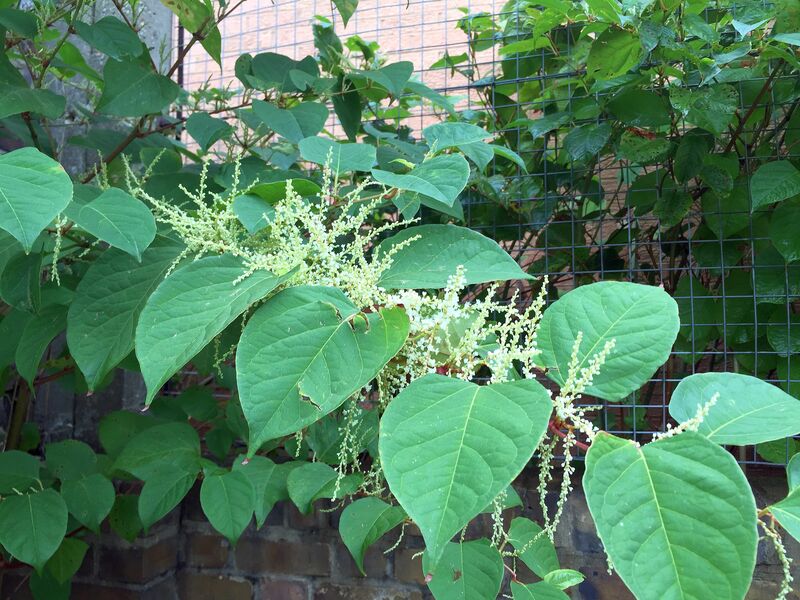 What do Japanese Knotweed Flowers Look Like? 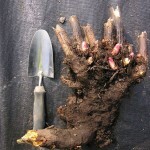 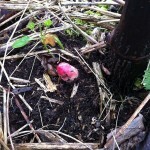 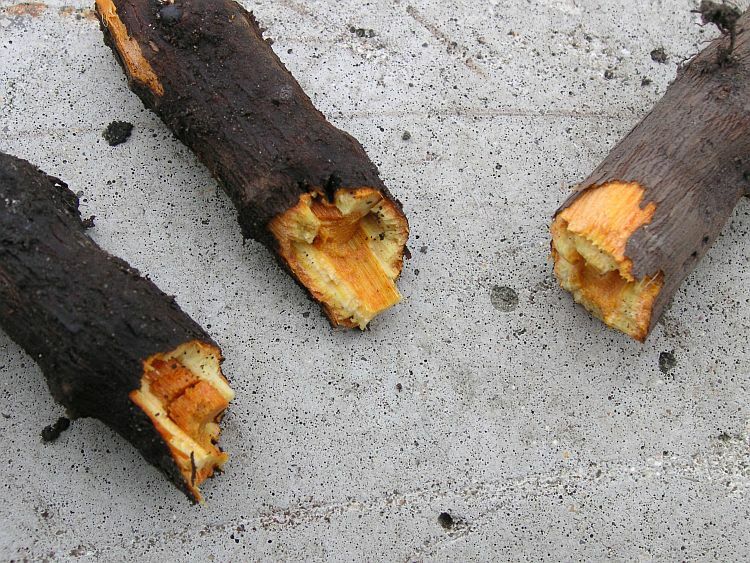 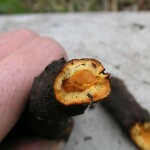 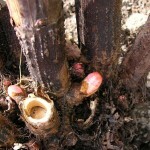 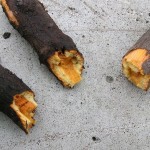 What Does Japanese Knotweed Rhizome (root) Look Like? 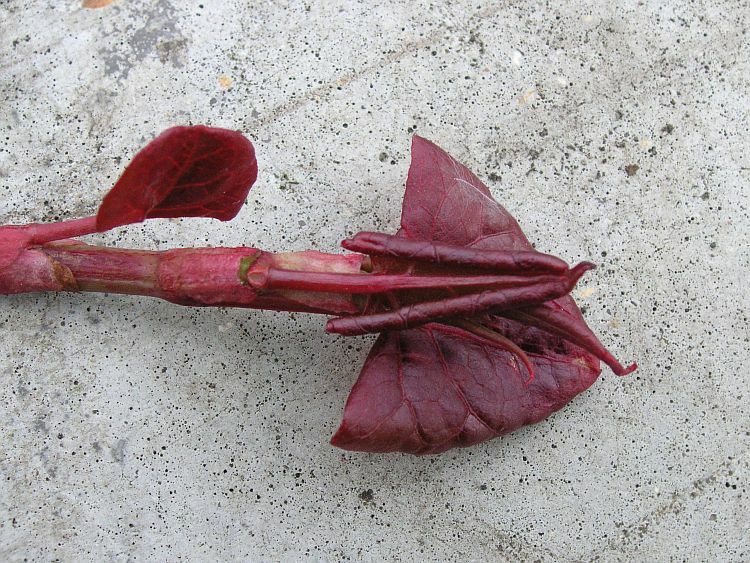 When do Japanese Knotweed Crown Buds Appear? 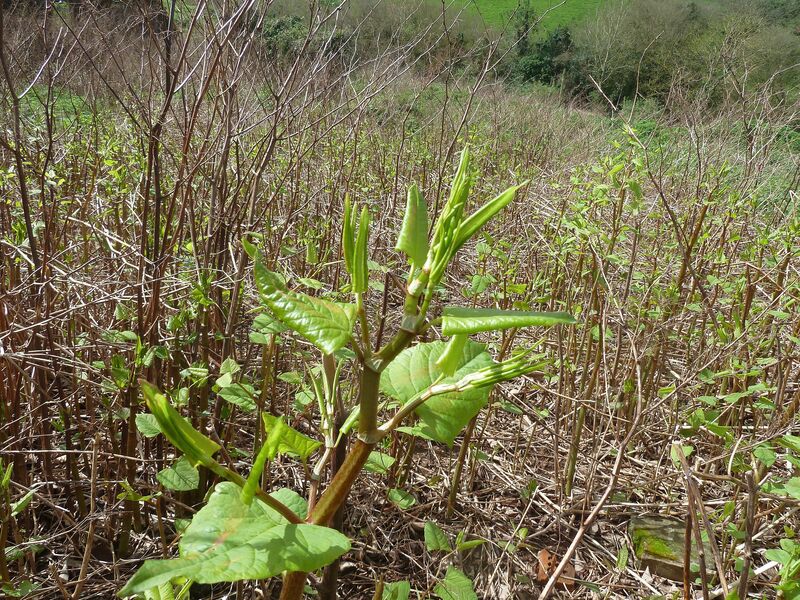 Plants could be reintroduced back onto the site after treatment from windblown seed from hybrids in the surrounding area. 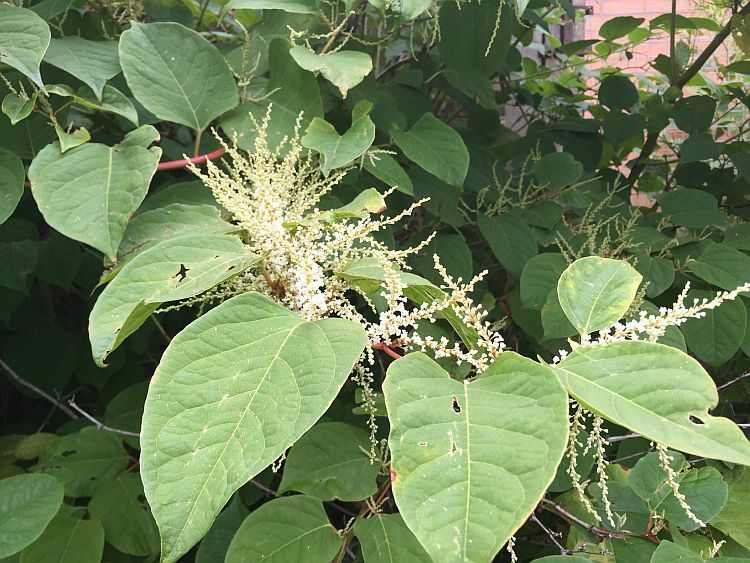 Japanese knotweed also produces hybrid seed from the pollen of the closely related and common garden ornamental plant, Russian vine (Fallopia baldschuanica), which is also known as ‘mile-a-minute’ and Bukhara fleeceflower. 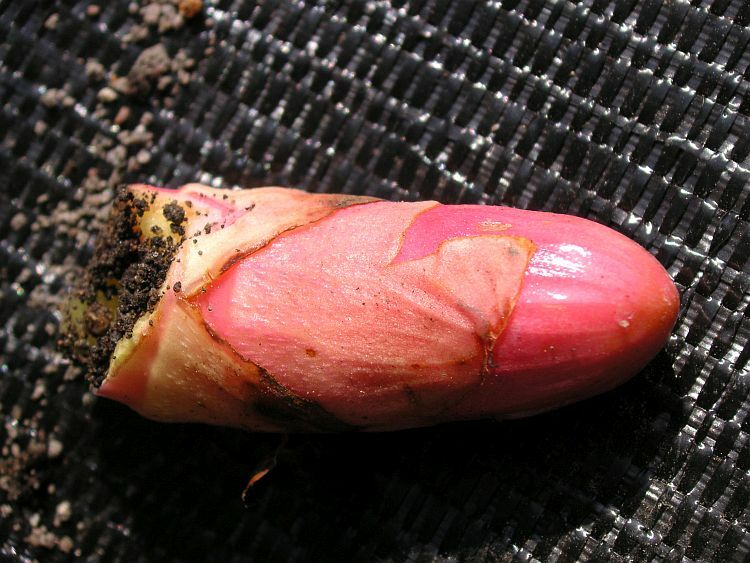 Luckily, this seed very rarely develops into viable plants, which is probably due to it being particularly sensitive to the relatively mild and wet winters we experience in the UK and possibly because the seedlings appear quite fragile. 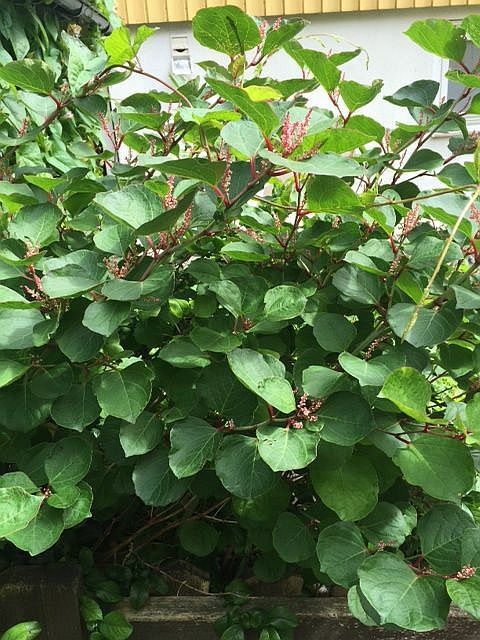 The Russian vine hybrid is known as railway-yard knotweed (Fallopia x conollyana, which was named after Ann Conolly of Leicester University who, along with John Bailey (who registered the name as a birthday gift for Ann), was a pioneer researcher on UK knotweed. 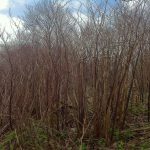 Giant knotweed (Fallopia sachalinensis) is native to the island of Sakahlin which is just north of Japan but is actually part of Russia. 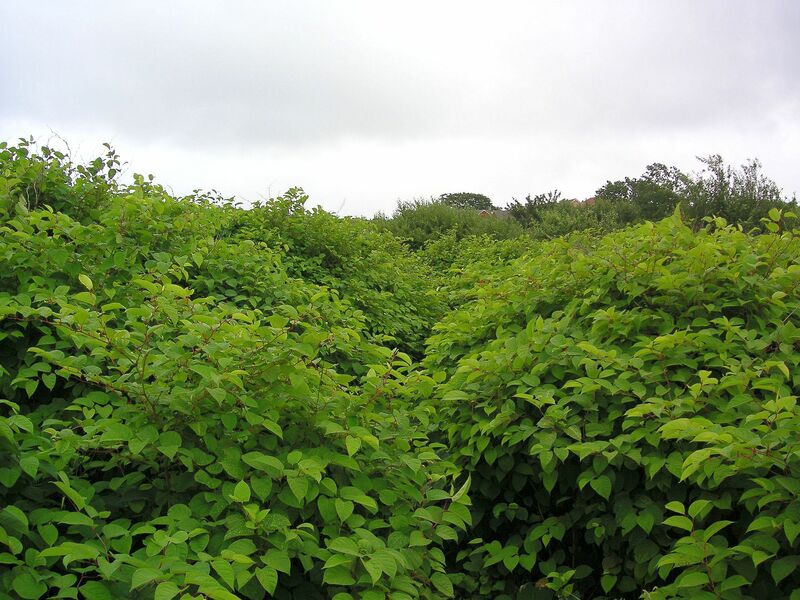 As with Japanese knotweed it was brought to Europe to be grown in botanical gardens. 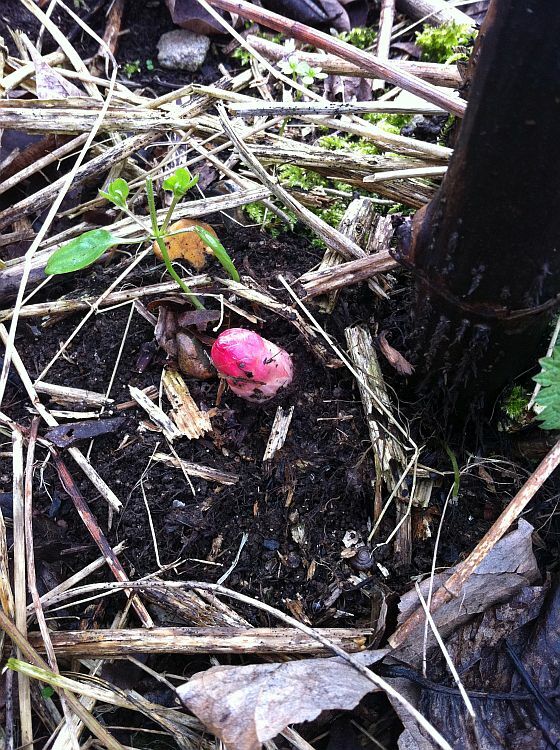 It has also escaped into the wild where it is spreading. 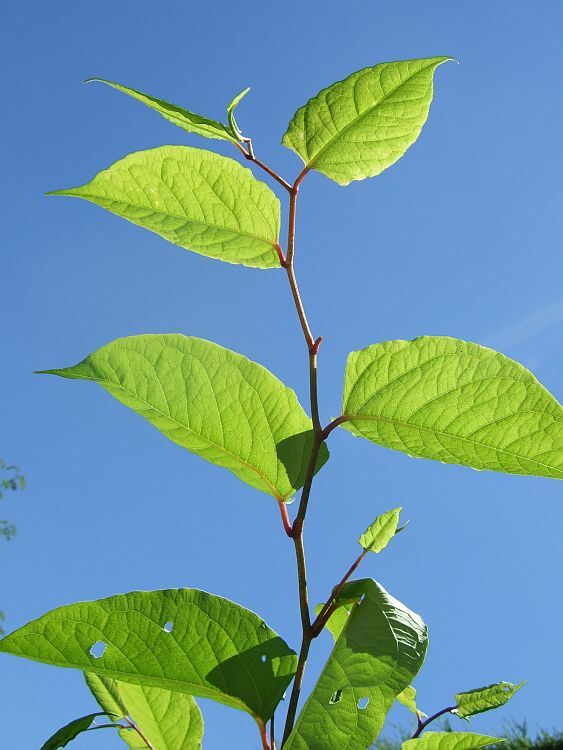 It is similar to Japanese knotweed in many respects but is larger, growing over 4m high and having leaves around 20-40cm long. 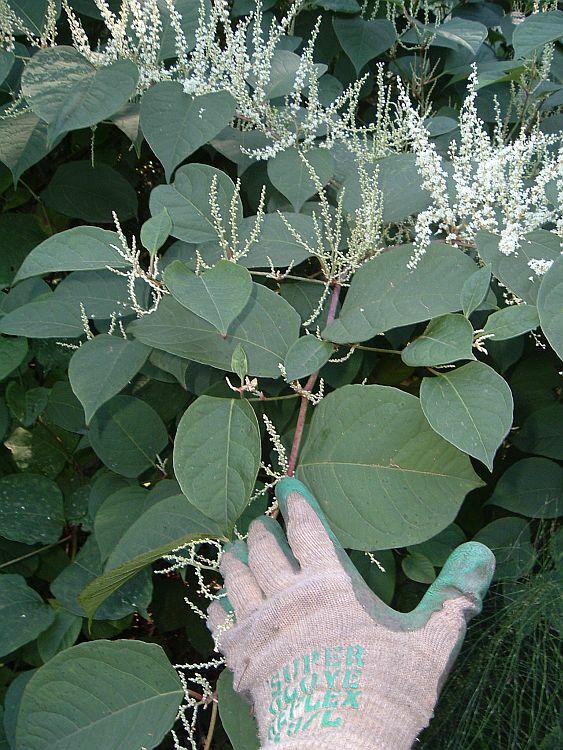 Giant knotweed also has flowers that are more green in colour and leaves that are more rounded at the base than Japanese knotweed. 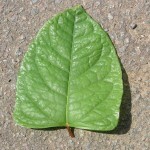 The leaves also have scattered hairs (trichomes) on the undersides. 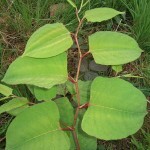 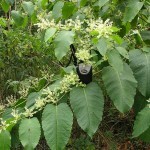 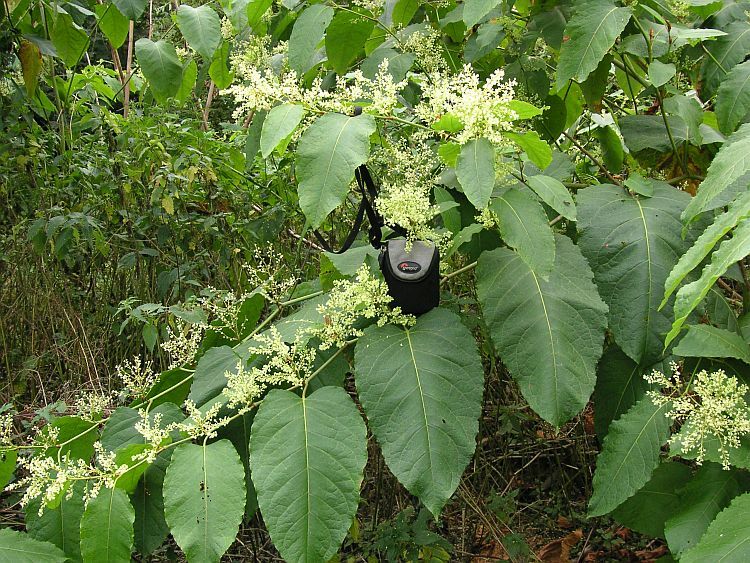 The hybrid plant (Fallopia x bohemica) grows slightly larger than Japanese knotweed and has slightly larger leaves but is smaller than giant knotweed. 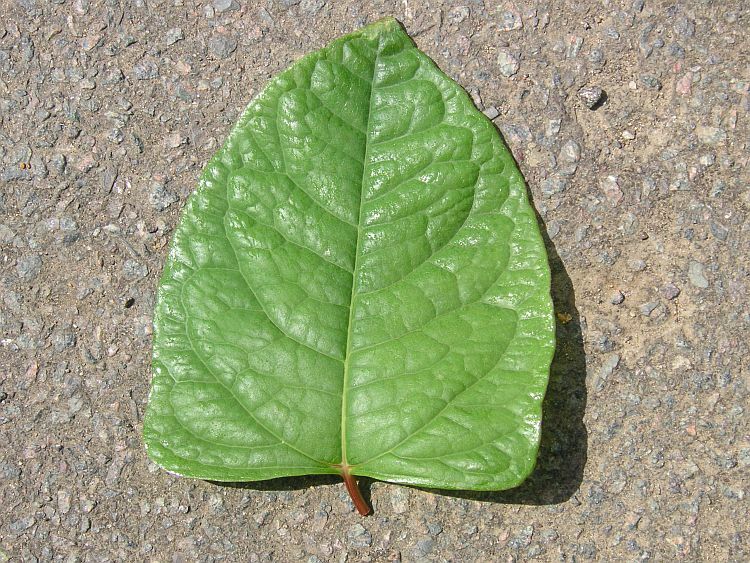 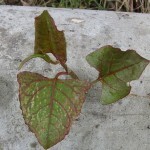 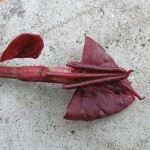 The leaves also have a pointed tip and a slightly rounded base, which makes the leaves appear more heart-shaped than its Japanese knotweed parent. 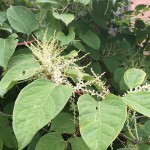 Other hybrids from various back crosses with Japanese knotweed and hybrid knotweed generally appear similar to Fallopia x bohemica. 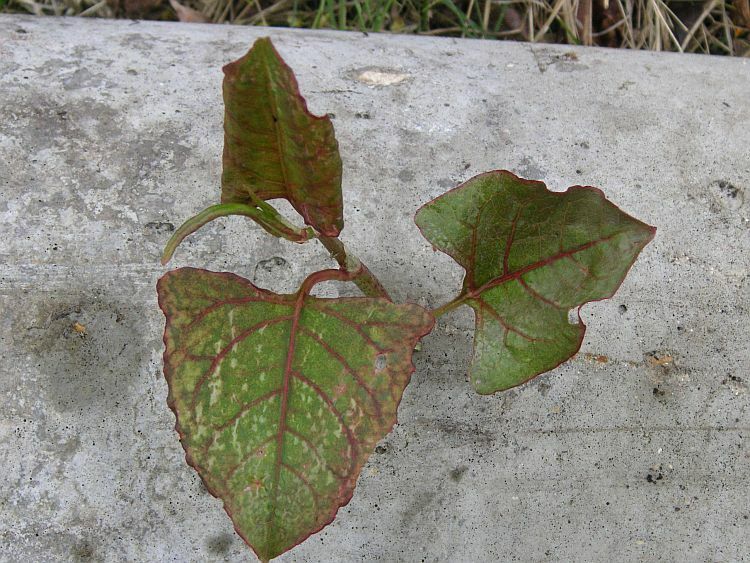 The table below details some of the more obvious leaf features that can be used as a rough guide to identify whether a plant is hybrid knotweed or Japanese knotweed. 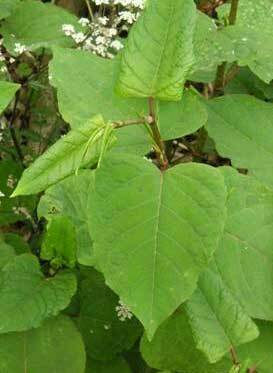 Other forms of knotweed that are found in some areas of the UK include a dwarf variety (Fallopia japonica var. 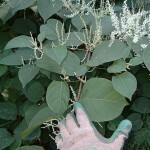 ‘compacta’) and Himalayan knotweed (Persicaria wallichii). 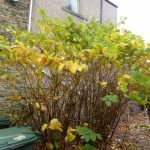 These plants can be differentiated from Japanese knotweed by dwarf knotweed only growing to approximately 1m in height and Himalayan knotweed having long, slender leaves and can grow up to 2m in height. 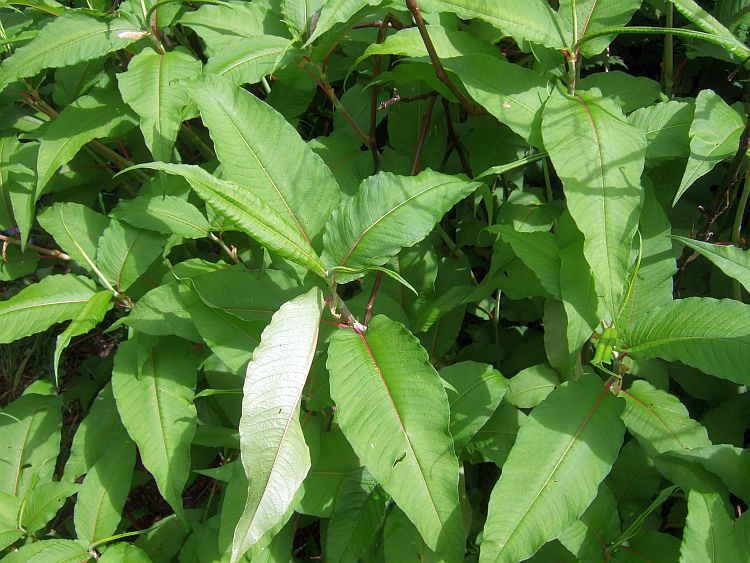 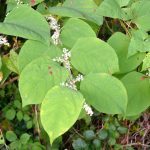 A number of other closely related species that can often be confused with Japanese knotweed include some bistorts, water peppers and other Persicaria species. 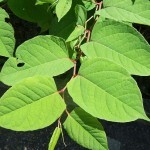 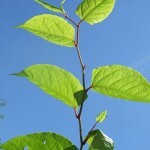 You can read more about these on our Plants that are commonly mistaken for Japanese knotweed page. 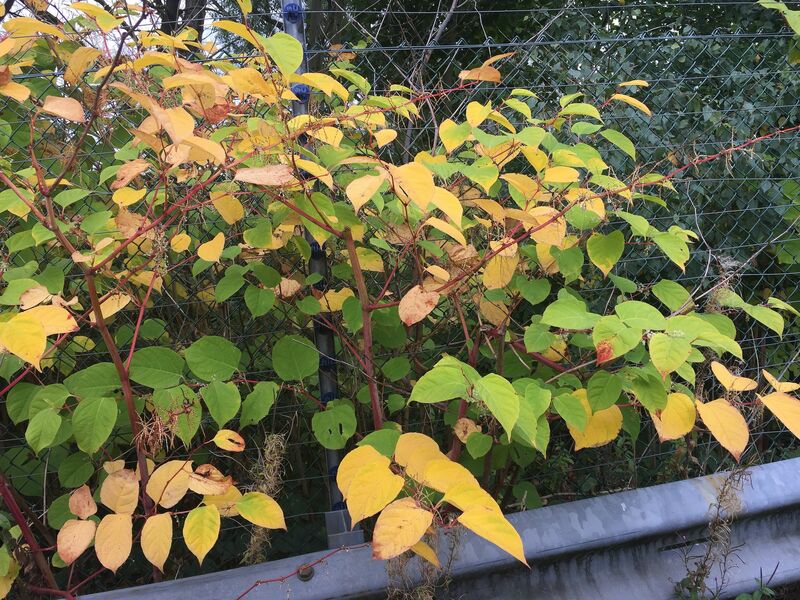 If you are still unsure as to whether you might have an infestation of Japanese knotweed on your property, please send us a picture for a free assessment, below. 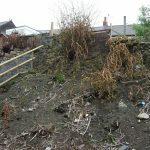 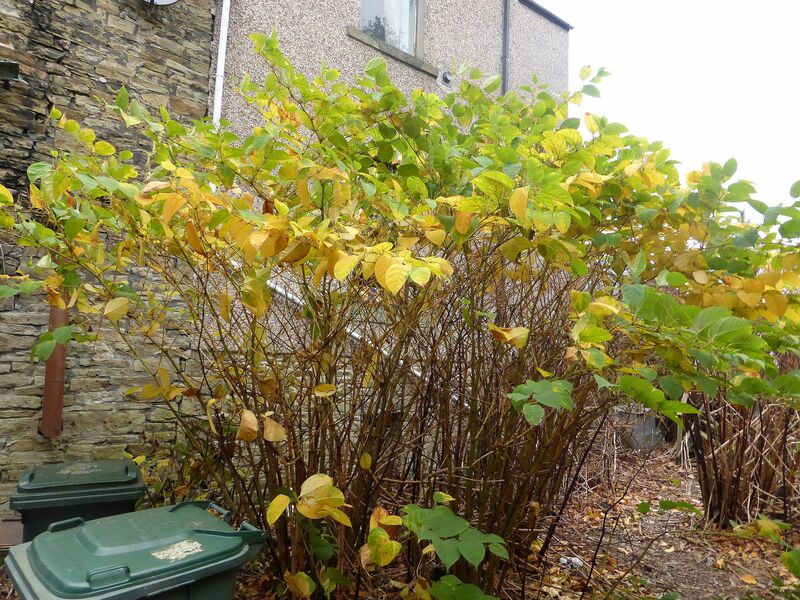 Alternatively, if you are relatively certain that you have an infestation then take a look at our Japanese knotweed removal services or our full list of knotweed treatments available. 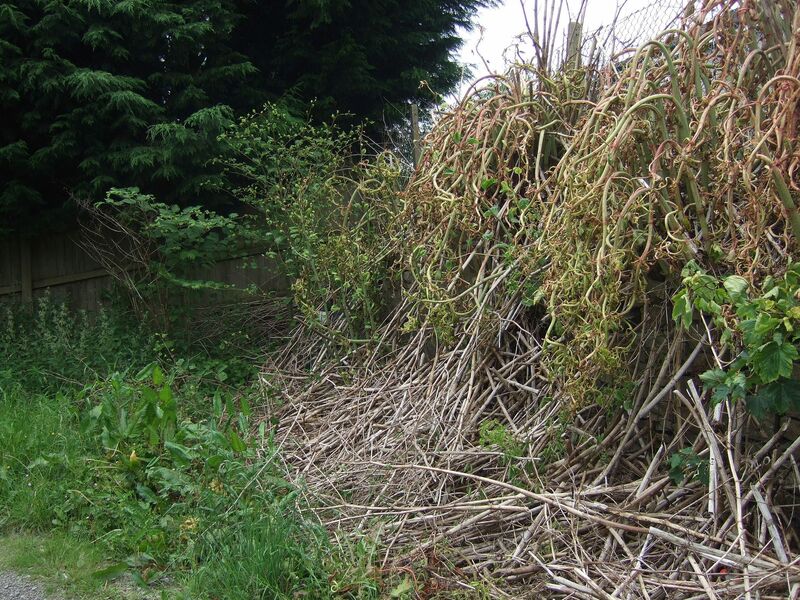 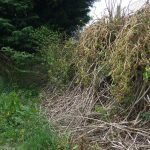 If you are a home-owner you may find our domestic Japanese knotweed services page useful. 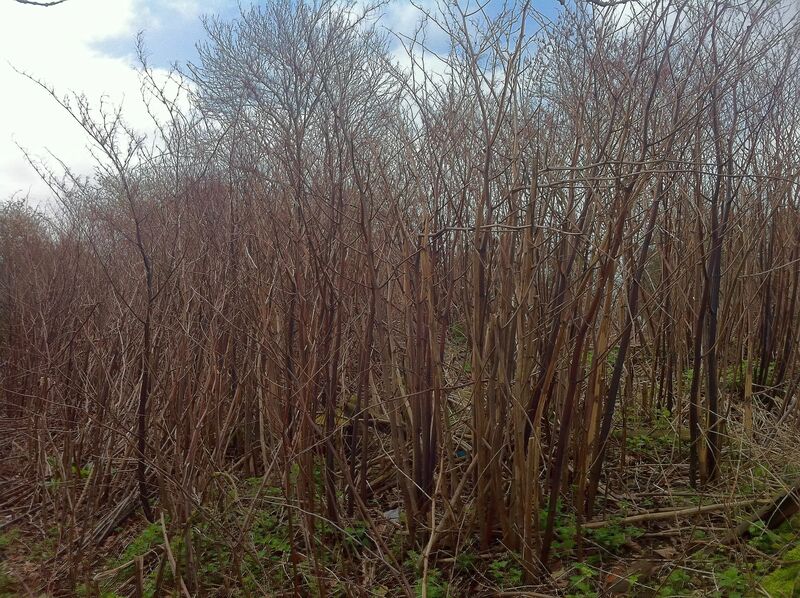 It might also be a good idea to familiarise yourself with the various legal issues associated with knotweed. 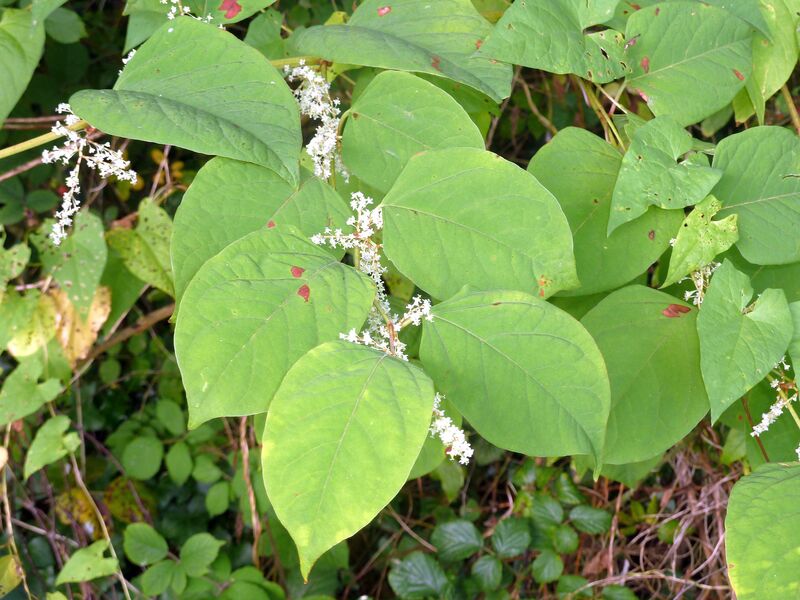 We also have a handy Japanese Knotweed Identification sheet for your reference. 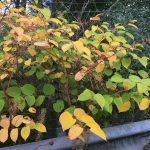 Feel free to contact us today to speak with one of our expert consultants who can help with any of your Japanese knotweed identification or treatment concerns.